Rice is a staple food here. Why are we still importing bulk of the rice we consume? As a country, we don't produce enough rice to meet our demand. Therefore, we import to balance the shortfall. Statistics has it that we produce around 3 million tonnes of rice while we consume about 5 million tonnes. In fact, the latest statistics released by the Federal Ministry of Agriculture reveals that we have a deficit of about 1.9 million tonnes of rice. So, it means to be able to close that gap, we must import the shortfall. Again, we have taste for long grain polished rice. Most of the local rice varieties are not long grain. What are the rice production practices of Thailand and other Asian nations that have become major exporters of rice? Two major factors underlie their rice production strategy, which has made them to produce far more than what they need. The first one is that they prioritise production in ecologies that are appropriate for rice production. In other words, in places that you have water bodies that can support lowland rice production, you don't do any other crops; just focus on rice, specialise in it. The second factor is that the cultivation of rice in that country is all-year-round. They don't do agriculture the way we do it here. We depend on rain and plant only once. The rainy season is short, five months in some areas. So we lose the remaining seven months. If you are able to grow a crop that lasts three months under irrigation, it means you can grow it three times in a year. How can we achieve not only self-sufficiency in rice production, but also ability to export? The first thing is to focus on specialisation because there is what we call comparative advantage in crop production. You find an ecology that is best suited for a crop and you make that place primarily a place to produce that crop. Nigeria has a huge potential for rice production. For instance, during last year's dry season rice production, data has it that in Kebbi State, over 100,000 hectares of rice was cultivated. That's amazing. It was estimated that close to a million tonnes of paddy came out of Kebbi last year through the CBN Anchor Borrowers Programme. And there are about 11 states in the country that have great potential for rice production. You take the areas in those states where rice can be produced and focus on rice alone. You do it both in the rainy season and the dry season. So, it means we have to increase our irrigation facilities. If we plant rice two times in a year, Nigeria will have enough rice to eat. Imagine we get 1m tonnes of rice from Kebbi in the dry season and we get 2m tonnes in the rainy season, you are talking of about 3m tonnes from one state. If you mill 3m tonnes of rice, you will get around 2 or 2.5m tonnes of milled rice. So, you have met about half of Nigeria's consumption already. You have Adamawa, Taraba, Kano, Jigawa, Benue, Ebonyi, Cross River, Anambra and other states. These states have huge potential for rice production. So, if we put structures in place to ensure that rice is produced twice in a year in these states, we can overcome the challenge of rice deficit in Nigeria. What role can government and the private sector play to achieve the goal? There are several roles the government can play. It should prioritise rice production and ensure all-year-round production. A ban should be placed on importation of rice to stimulate local production. 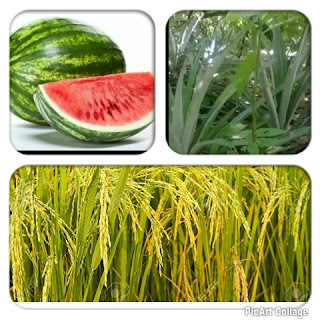 We have other crops we can rely on till we become self-sufficient in rice production. Other roles the government can play are common to other crops. For example, access to finance. If you are going to do farming, you must have a complete package of inputs, which you need money to buy. Most of our farmers don't have enough cash to get these inputs. So, there must be a source of proper funding for them. Secondly, the policy environment must be right to encourage local production. The farmers also lack knowledge to manage their crops, so extension services should be provided by the government. For the private sector, if enabling environment is provided, investors will key in and we will be producing far more than what we need.